Finely chopped mushrooms mixed into your next batch of meatballs. Seriously. You’ve GOT to try it. 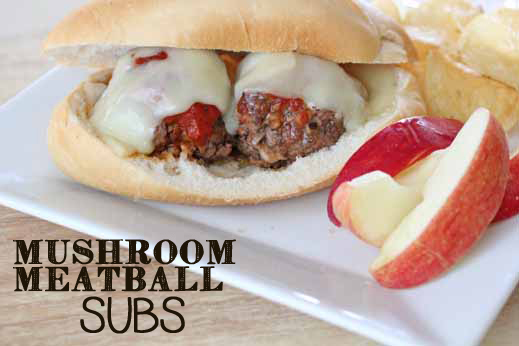 Adore the flavor that the mushrooms add to the meatballs…and these mushroom-meatballs are perfect on a sub with a side of chips and fruit. You can find the complete recipe over on the Mushroom Channel blog…enjoy y’all!! !